IBM® XWork Server uses IBM Domino® technology with XPages to help you design, develop and deploy business applications for web browsers and mobile devices. This technology allows for mobile application development of business software with collaborative and social capabilities. You can write applications once and deliver them to multiple web and mobile devices. You don’t need advanced programming knowledge to use IBM XWork Server, and XWork Server is well-suited to companies of all sizes. Design, develop and deploy applications with social and collaborative capabilities for browser, mobile and desktop use by using a single programming platform. Build applications using XPages technology, a Java platform-based web application framework in IBM Domino Designer. 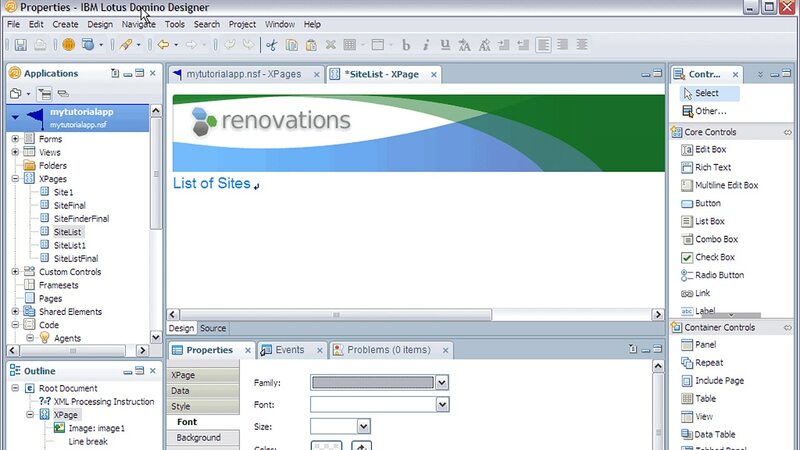 Use a source markup editor or XPages controls that you can drag and drop in to a what-you-see-is-what-you-get (WYSIWYG) graphical editor to build applications.